When deciphering a chart, it is important to take into consideration the Sun’s ruling planet, its sign and house position. This planet will have considerable influence in the person’s life. 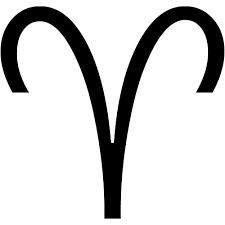 If, for example, you have a Sun in Aquarius in the second house, you will have some Taurus links to your personality due to the second house location. Knowing that Uranus is the ruler of Aquarius we can use its position in the natal chart to help further define the character traits. If for example, you have Uranus in the eighth house, we would know that you search for the truth and want to get to the bottom of things. You would be a “digger” in life and surface things might not hold much importance. The occult might play a significant role as might a leaning towards sexual tendencies. Taking this further, if, for example, you have Mars in Scorpio or in Taurus this sexual expression would be enhanced even further. Using another scenario, if, for example,you have a Cancer Sun that is found in the first house, we would know that you have Cancer tendencies but would also have Aries characteristics as part of your character makeup. This would make you more aggressive in your pursuit of emotional expression and would probably enhance family concerns with a powerful urge to protect and take care of those in your family circle. The Moon rules Cancer, so let’s say that you have the Moon in the sixth house. The sixth house is naturally ruled by Virgo. You would still be a caring and protective individual but you would analyze the situation very carefully, scrutinizing the conditions and looking for any flaws or discrepancies that might stand out or that might be beneath the surface. You would carefully decipher the best approach to helping these family members not only from an emotional point of view but also through analytical observations. This example does define the Moon and it positioning. However, if the Moon was in Libra or Leo let’s say, we would have to take this into consideration as well. Those with the Moon in Leo would have a strong need to have their emotional responses to life’s events recognized. The Leo Moon individual would also place a lot of attention on assisting others, but would want to play a key role in this. They may perhaps feel that they would know what is best for the family member they are assisting, although this may not be the case. Those with the Libra Moon might want emotional balance and fairness in their emotional expression. They may constantly try to balance the needs of those around them as well as their own needs. They would also try to keep things smooth and filtered without being abrasive or putting too much weight in one given area or the other. As you can see, it is a complex study to analyze any given part in an Astrology chart. If you can put these pieces all together, you will have a clear, concise and elaborate definition of the characteristics of any given individual. Although Astrology is very complex, with practice and patience, we are able to put the pieces together. Much can be determined by following these deciphering techniques.